See more objects with the tag instruction, circles, monochrome, grid, girls, education, school. This is a Sampler. 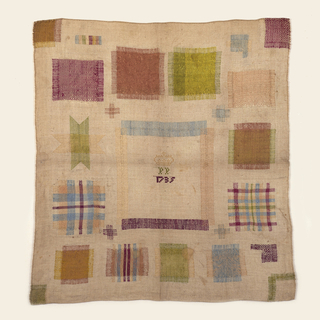 It was embroidered by Mary Finkel. It is dated 1730 and we acquired it in 1974. Its medium is silk and linen embroidery on linen foundation and its technique is embroidered in counted satin and double running stitches, needle lace fillings in cut work areas, on plain weave foundation. It is a part of the Textiles department. 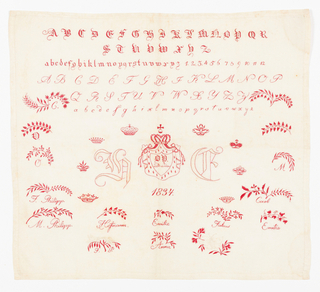 Samplers originally served as sketchbooks where women could record stitches and design ideas for future use. 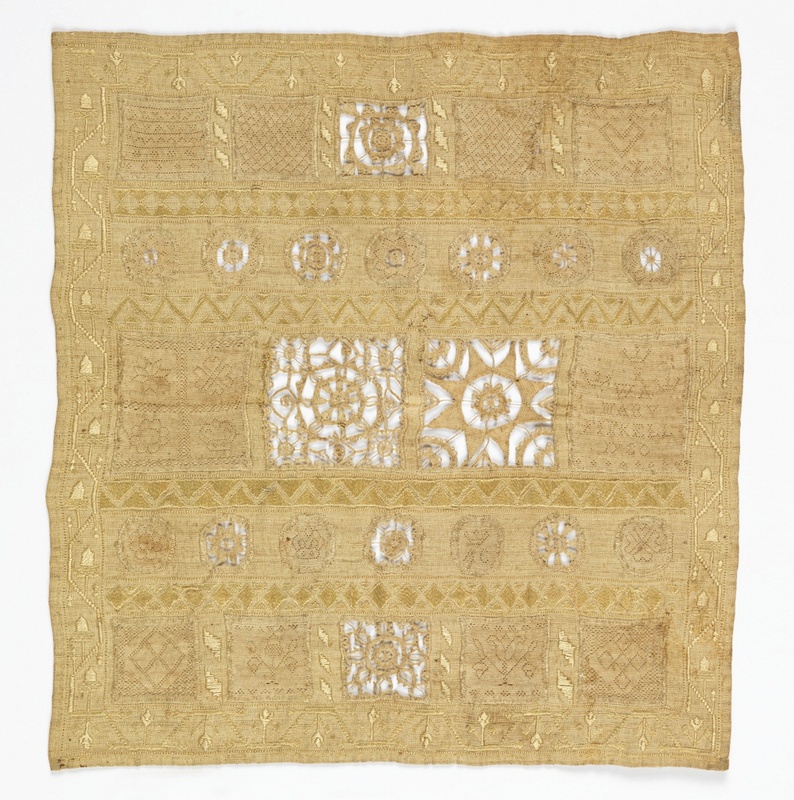 With the advent of printed books of patterns for lace and embroidery in the 16th century, this practice became less common, and samplers evolved into exercises for girls learning the techniques of needlework. Several samplers of nearly identical format to this one, including those of Mary Tredwell (Victoria & Albert Museum), Sarah Leesley (Museum of Fine Art, Boston) and Mary Brown in this collection, mark these samplers definitively as school exercises. 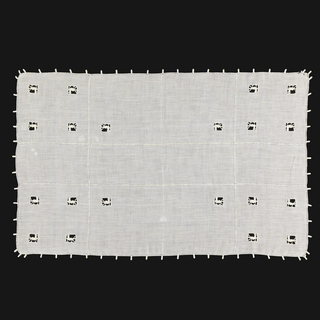 Beginning with a plain piece of fine linen, fourteen squares and fourteen circles were cut out. 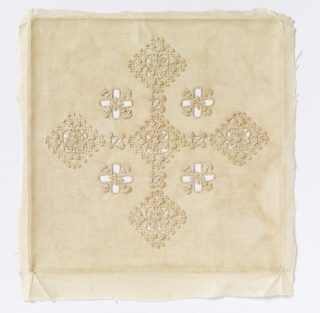 Some were filled with needle lace, most likely adapted from pattern books. 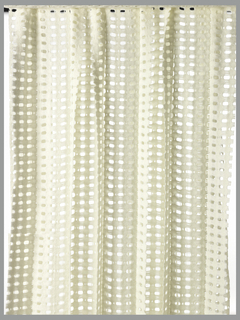 Others are filled with hollie-point embroidery, in which tiny holes are left in densely worked buttonhole stitch, giving the appearance of patterned knitting. Hollie point was very much in fashion for ornamenting baby clothes and christening sets in the 1720s and 30s.